Featuring an impressive cast accompanied by a large, live orchestra with over 30 musicians, the highly acclaimed Russian State Opera returns with a mix of fierce passion and gorgeous melodies. 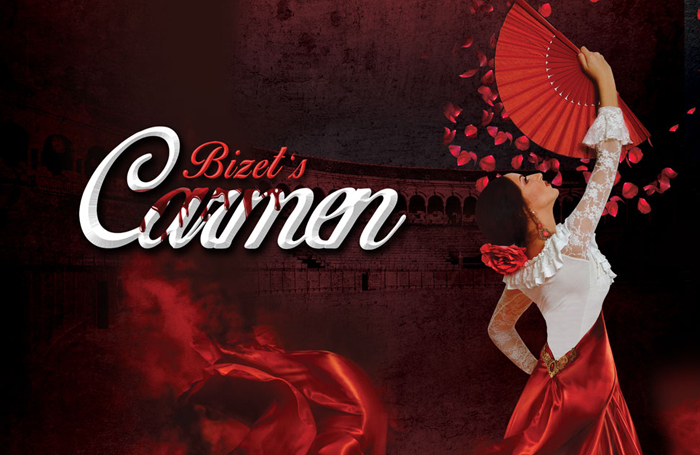 Feel the thrill and passion of love, jealousy and violence of 19th Century Seville in one of Bizet’s most popular pieces. The rich and colourful vigour of the gypsies’ scenes will have you on the edge of your seat, and the vibrancy, enthusiasm and intensity of the performance will reverberate long after the final curtain. To win a pair of tickets to see tickets to see Russian State Opera’s Carmen at the venue of your choice, go to thestage.co.uk/competitions  and enter your details and put CARMEN in the code box. Entries close at midnight on August 12. Terms and conditions: Subject to availability. Travel not included. Non transferable. No cash alternative. By entering the competition you agree to your contact details being passed securely to a third party who will only use them for the purpose of this competition and to your name being published in The Stage newspaper.